Three writers also honored in Northwest Excellence in Journalism competition. Seattle Business magazine received several honors, including the coveted General Excellence Award, in this year’s Northwest Excellence in Journalism competition sponsored by the Western Washington chapter of the Society of Professional Journalists. 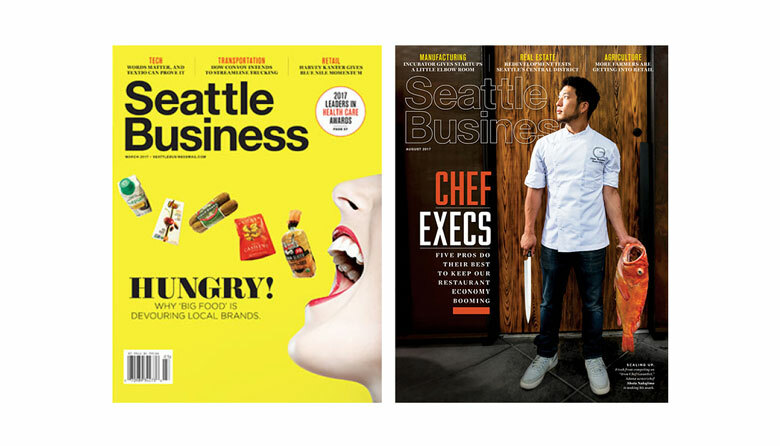 Based on judging of its March and August 2017 issues, Seattle Business was deemed the top entry in the General Excellence category among small news organizations, encompassing enterprises with seven or fewer full-time newsroom employees. Executive Editor Leslie Helm, Managing Editor John Levesque and Art Director Lori Kelley were cited. Levesque received runner-up recognition in the Sports Columns category for his Final Analysis columns about sports predictions for 2017, naming rights to Safeco Field, and the misappropriation of online photographs. The Northwest Excellence in Journalism contest draws entries from news organizations in Washington, Oregon, Idaho, Montana and Alaska.